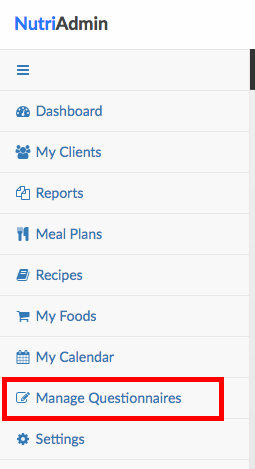 By default, NutriAdmin assumes you are sending your client a questionnaire. However, it could be the case that you are sending your client a food diary, or a disclaimer that you have created using the questionnaire editor. If your document is not really a questionnaire strictly speaking, you may want to change the wording on the website your clients use to interact with your form. 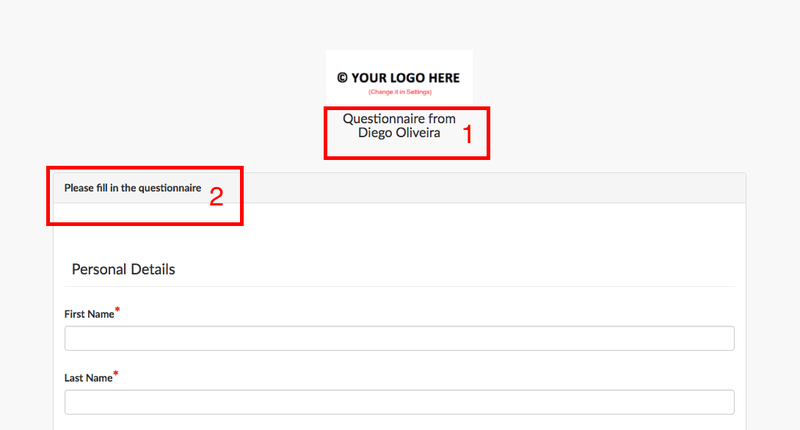 Below are two screenshots showing what your clients see by default once they open your questionnaire email. 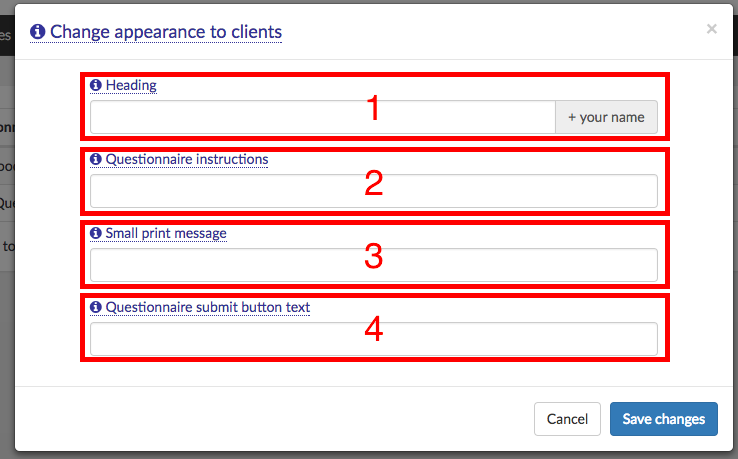 As you can see, there are 4 pieces of text that are contextual, and may not be appropriate when what you are sending your client is not a questionnaire (e.g. if you are sending a food diary or disclaimer). If you want to change these four pieces of text, it's very simple. Just follow the below steps. Step 1: Click on Manage Questionnaires. 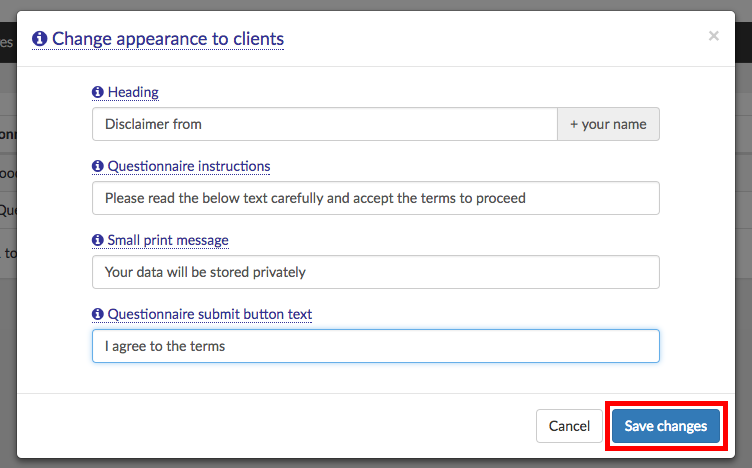 Step 2: Find the questionnaire you want to edit, then click on Actions. 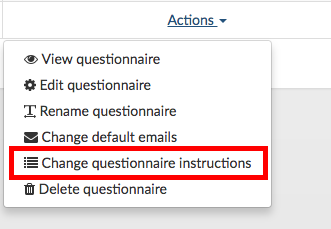 Step 3: Select Change questionnaire instructions from the dropdown menu. Step 4: Edit the four different fields. The screenshot below uses the same numbering system as in the first two screenshots in this article. 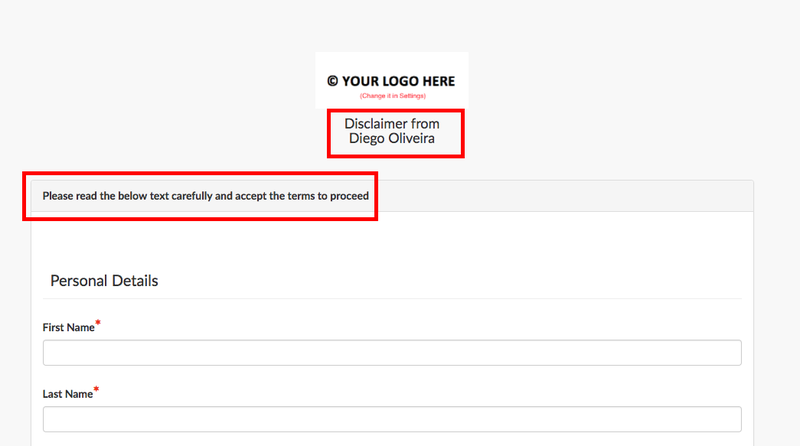 Below is an example of a possible way to edit the questionnaire instructions for the case of a legal disclaimer. Click on Save changes when you are done editing. Note: If you leave any of the fields empty, the default text will be used for the empty fields. If you really want to show no message at all in some of the fields, enter a whitespace character. Once you save your changes, you will receive a notification on the top of the screen.